The Niagara Stage Concert Series is presented by Niagara Parks, with support from the renowned Polaris Music Prize & the Government of Ontario. Happening every Saturday (plus Canada Day) throughout the summer at our epic Queen Victoria Place stage, this series draws from the long list of diverse Canadian musical talent that has been awarded, recognized, and listed by the prestigious Canadian Music Prize across its 12 year history. Stay tuned for the official release of the 2019 concert lineup! 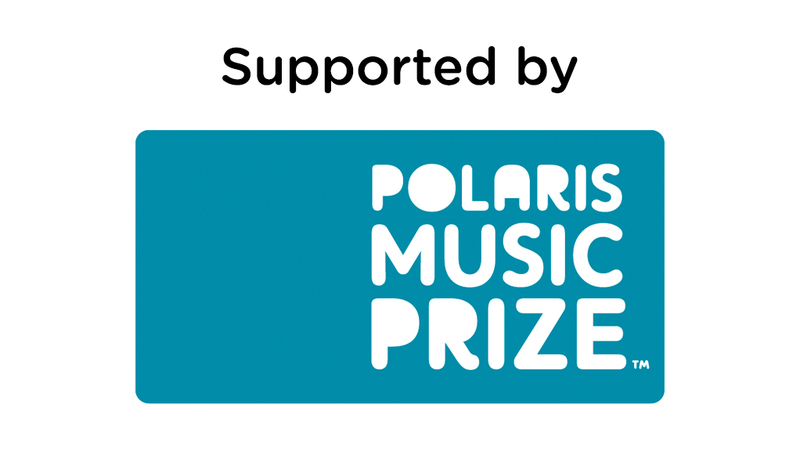 The Niagara Stage Concert Series is presented by Niagara Parks with support from the renowned Polaris Music Prize & the Government of Ontario. This series draws from the long list of diverse Canadian musical talent that has been awarded, recognized, and listed by the prestigious Canadian Music Prize across its 12-year history. Enjoy a spectrum of sounds, styles, talent, and culture as vast as Canada itself. With an electrifying voice and lyrics like silver arrowheads, Basia Bulat has become one of Canada’s most conspicuous talents. Juno nominated and shortlisted for the prestigious Polaris Music Prize, she often appears solo in gigantic halls, winning over crowds with an autoharp or charango, stomping feet and two mighty lungs. The Darcys are an alternative pop duo from Toronto, Canada that combine the anthemic songwriting of The Killers and Arctic Monkeys with the dance-floor-ready fun of Chromeo and Justice. Always the life of the party, The Darcys’ music is lush with vibrant synths, 808s and funk bass that makes their sound feel as at home in today’s modern pop landscape as it would in a crate of classic vinyl. In 2016, Weaves’ self-titled album was among the most anticipated of the year, lauded internationally upon its release for the band’s sideways approach to guitar pop, described as “one of the most unpredictable sounds of 2016” (MTV), and “a triumphant assault on all things conventional” (i-D). For the band, the year was a transformative experience, spent mostly on the road, playing festivals and touring with fellow 2016 breakout artists like Sunflower Bean and Mitski. A pillar of Quebec’s author’s music scene, Philippe B was the recipient of the singer-songwriter of the year award at ADISQ’s 2014 Gala. He carefully weaves his web of rich and unique songs, creating a distinct musical universe that makes him stand out from his peers. He has twice made the Polaris Long List, only confirming Philippe B’s place as one of Quebec’s leading singer-songwriters and as a major artist of his generation. Critically acclaimed and SOCAN Song Award winner (Le Nouveau Vocabulaire, 2015) Antoine Corriveau redefines himself from album to album whilst imposing his racy song-writing style. Both bared down and unpolished, then sometimes magnified by rich orchestral arrangements, he has refined his firm and balanced voice out of the ashes of Dylan, Waits and Nick Cave. Jessy Lanza's second album 'Oh No' is addressed to her own constant nervousness. The pressure of music making, which used to calm her nerves, has led to a whole new world of contingencies that stoke the anxiety mill. The exclamation 'Oh No,' for Jessy, marks yet another incident of randomness interrupting her tranquility. In a few short years Tanika Charles has transformed from an emerging solo artist to a commanding performer and band leader, a staple of the Canadian soul scene. Both on stage and off, Edmonton-raised Charles presents an immutable charm, at times endearingly abrasive and honest in her vulnerabilities. For a decade, Simone Schmidt has been writing new life into and around folk, country, and rock songs. Critically outspoken and largely evading the branding of the music industry proper by working under several aliases, Schmidt might be recognized for her tenure as the front person and songwriter for country act One Hundred Dollars (2007-11) or psych rock unit The Highest Order (2011-ongoing), or from her solo work as Fiver (2012 - on).